RedHorse uses simple per-seat licensing. You can choose to buy licenses outright (perpetual licensing), or take advantage of easy monthly subscription. Contact us for a price quote. 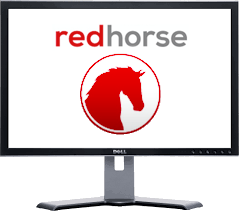 A subscription to RedHorse CRM may be converted to a perpetual license at any time. A credit of 25% of all subscription payments will be applied toward the purchase conversion, up to a maximum credit of 75% of the perpetual license purchase cost per user. Easily import your existing data from Outlook, Excel, QuickBooks, GoldMine or CSV files. * Also check out our simple Pricing Policy.